My guest today says, “There is beauty in having a go. It doesn’t have to be perfect. Even a scribble has value”. 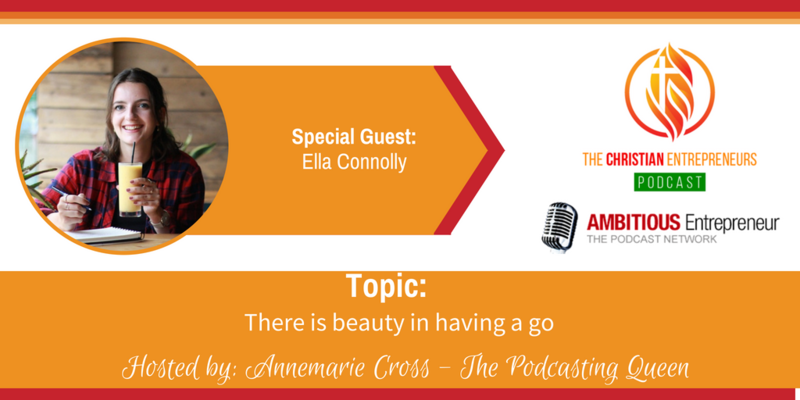 Joining me today is Ella Connolly. Ella is an English and Drama student who has been blogging alongside her studies for the last four years. Ella is passionate about encouraging others in their creativity and stepping out of their comfort zone for the Kingdom. In her spare time, Ella loves to explore beaches and can often be found with a book in one hand and a cup of tea in the other. 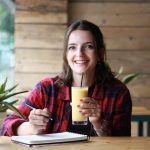 Know when to stop – My handmade products business reached a point where I had to weigh up if my time and effort could be more effectively used if invested in other projects. Be vulnerable. People want to get a real sense of the person behind the blog or business. Remind yourself often of why you started your business/ creative project. I am an English and Drama student and have blogged alongside my studies for the last four years. I am passionate about encouraging others in their creativity and stepping out of their comfort zone for the Kingdom. My heart for social media is to reach people who are hurting, with a message of hope and create a sense of community through genuine engagement. In my spare time I love to explore the beaches near where I live and can often be found with a book in one hand and a cup of tea in the other.